Once you've analyzed your workbook for columns which are slow to calculate, it may be that the evidence is showing that some of your user defined functions need to be optimized. Or perhaps you have a complex set of functions you need to profile to find out which code sections are the least efficient. Here you will find a profiler you can use to analyze and report on your procedures. There is a downloadable add-in later, however you may instead want to move to the section on autoprofiling which will get you started with minimum effort. We are trying to get to a report that looks like this. This will show every code section you have chosen to profile along with the results and the context. This should help you identify which areas of code to focus on. At the simplest level, you can create one profiler, then within that as many timing sections as you like. 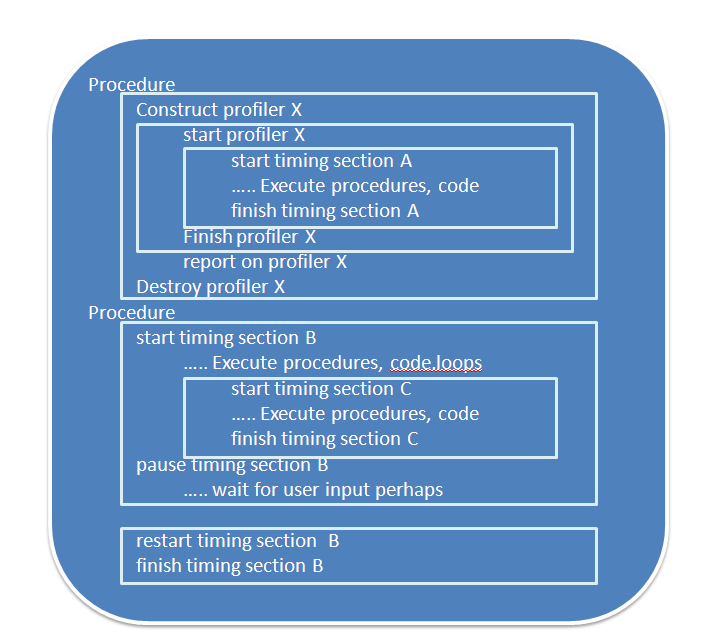 A profiler is a group of code sections that should be reported and analyzed together. The time between starting and finishing the profiler is the elapsed time of the analysis, and all %ages shown for sections are based on that elapsed time.This will deal with most requirements and this article will be covering a scenario like that. Your main interaction is with the cProcProfiler class. In order to minimize the the amount of profiling code needed in your procedures, and in particular to avoid the need to define any object, you can call these modules to construct a default profiler and clean up afterwards.